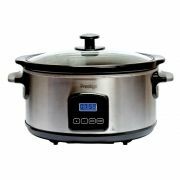 Slow Cookers - View our range of Slow Cookers here at Anthony Ryans cookware shop, offering excellent quality Slow Cookers to suit your needs. A slow cooker, often referred to as a Crockpot, allows home cooking to happen almost by itself! Clean, chop and pop in your ingredients, and set your timer. A slow cooker works on the concept of low temperature cooking for long periods of time. 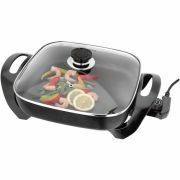 Made up of three main components: the base with heating element, the cooking pot and the lid. 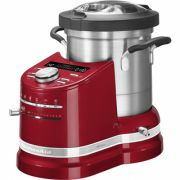 With handles, a temperature knob or control panel, and feet that keep it slightly raised off the surface of your counter. All electrical workings are hidden, the main heating bands that conduct heat are at the base of the slow cooker. Creating heat that transfers to the cooking pot and rises across the bottom and up the sides, uniformly cooking your food. 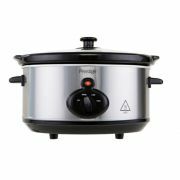 Slow cooker at ideal for those cold, long winter days when you can arrive home to a warming dinner waiting for you.